Rich Villar’s first experience with the written word was at the age of three, on a beach in Puerto Rico. On a family outing to Luquillo, Rich’s father wrote words in the sand, and the three-year-old would read them off to an uncle who doubted his ability to read. For Rich, reading and writing was not simply a marker of intelligence—it had become an act of defiance. Rich is a first generation Latino poet born in Edison, New Jersey, to a Puerto Rican mother and a Cuban father. He is the author of Comprehending Forever (Willow Books, 2014) and is a longtime activist for the Latinx presence in American letters. His organization, Acentos, stood from 2003-2012 as one of the leading grassroots movements for Latino literature, particularly in the Bronx and NYC. Its literary arm, The Acentos Review, still publishes Latinx writers four times a year. His family moved to Paterson in 1983, where he spent his childhood in some of the same neighborhoods as the boxer Rubin “Hurricane” Carter and the poet Allen Ginsberg. By that time, Paterson was one of the most diverse cities on the East Coast, with established Latino populations of Colombians, Peruvians, Puerto Ricans, and Cubans, among many others. It was a place where English and Spanish speakers on Madison Avenue hummed alongside the Arabic speakers on South Main Street, and where historic African-American communities came into being alongside old school Jewish and Italian enclaves. This mixing of identities and cultures played into his curiosities about language and religion, and he spent a great deal of time with his head buried in a set of World Book Encyclopedias. Owing to Paterson’s allegedly dangerous reputation and economic state, Rich’s parents made the decision to place him in private fundmentalist Christian schools for the duration of his education. It was a strange dichotomy that eventually made its way into his poetry—the post-industrial landscape and multilingual modes of expression outside the walls of his school, and the right-wing Protestant Conservative values (including Creationism taught as science) within the classroom. In sixth grade, Rich discovered a love for poetry that followed him through high school, college, various careers in retail and nonprofit, to the doors of the Nuyorican Poets Cafe and the poetry slam scene that first held him up. Largely self-taught as a poet, some of his first poems in college began to deprogram and interrogate his fundamentalist education. He began a shift in his politics from talk radio-fueled Republicanism to unapologetic leftist thought. This led to his political awakenings—including an expanding set of independent studies and readings on Cuba and Puerto Rico, their revolutionary histories, and their literature. But it was a visit to his college by the poet and professor Martín Espada in 2002 that moved Rich’s poetry habit from a hobby to a career. Espada’s example and dynamic reading style led Rich to visit the Nuyorican Poets’ Cafe for the first time, and he began hitting open mics and slams all over New York City, including the louderARTS Project and Urbana slams. In 2003, Rich made his way to the Bronx at the invitation of Oscar Bermeo and Fish Vargas, who had founded a reading series for Latino poets called the Acentos Bronx Poetry Showcase. The show ran on alternate Tuesdays in the Mott Haven section of the Bronx and was one of the only exclusively Latino feature stages for poets in New York. They fielded poets from all over the nation as they traveled through New York City—writers from every school of poetry, emerging and established. Under the stewardship of Rich and his partners, the reading grew out into a grassroots organization for Latino literature; at various points, it was a showcase, a journal, and a poetry workshop; they also organized readings and symposia around Latino literature and activism. Rich has been an educator in various traditional and nontraditional educative spaces in all his years as a poet. He has led numerous workshops and residencies using slam and Nuyorican poetry as models for citizenship and engagement with the larger world. He has also been a teaching artist in classrooms using the Arts Integration model, teaching U.S. history, African-American Studies, and Latino Studies, through the lens of poetry, essay, and performance. He has hosted slams and open mics for at elementary, middle, and high school throughout the tri-state area, and he is a sought-after presenter on the topics of Latino literature, Nuyorican poetry, and banned books. In 2016, he served on the faculty of The Frost Place Conference on Poetry and Teaching. Rich has been quoted on Latino literature and culture by outlets such as HBO, The New York Times, the Daily News, and WBAI in New York. 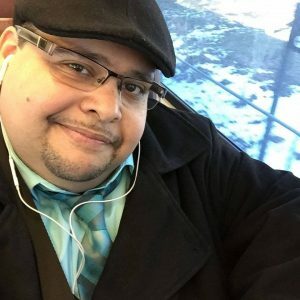 As a curator, he has staged tributes to some of the greatest figures of Puerto Rican activism and literature, served on the curatorial committee for Lincoln Center Out-of-Doors, brought together writers in protest of xenophobic government policies, and organized dozens of craft talks among leading literary figures. His essays and poems have appeared in Beltway Poetry Quarterly, Black Renaissane Noire, Radius, Thrush Poetry Journal, and on NPR’s Latino USA, among others. His first book, Comprehending Forever, placed second in Willow Books’ 2014 awards cycle and was published later that year; in 2015, it was a finalist for the International Latino Book Award for poetry. Rich is the inheritor of several proud poetic traditions: The Black Arts, the Nuyorican, the Beats, and the surrealist landscapes of Lorca and Neruda. He considers himself in league with William Carlos Williams and Allen Ginsberg as chroniclers of the city of Paterson. But more so than any one poetic movement, Rich moves in the tradition of poet as truthteller, and his work aims to unravel both personal traumas and the political untruths of power. He also believes in the idea of poet as master status, that a poet is a poet at all times and owes the world their undivided attention and love. Possessed with a vision of creating an army of Jedi poets—or depending you ask, Lit Angels—he brings a breadth of knowledge and passion for teaching to his position as Artistic Director and faculty member at La Sopa.